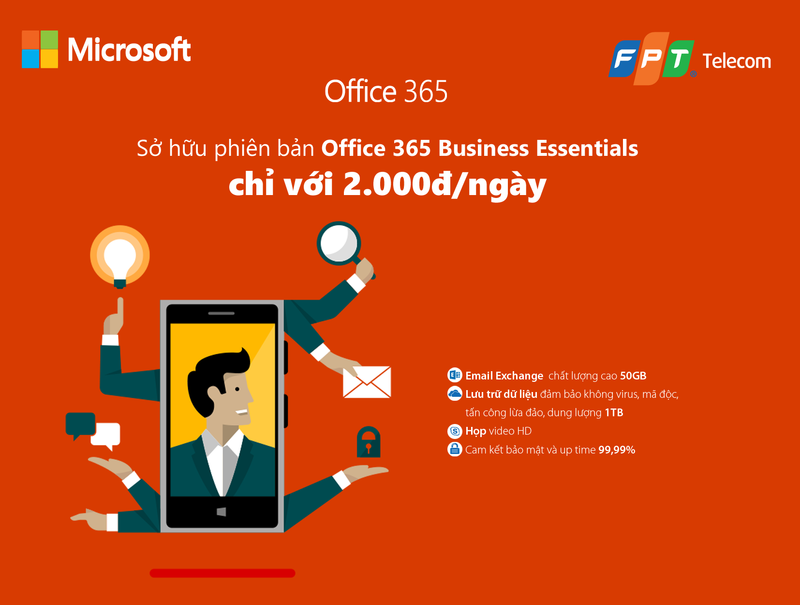 FPT Telecom - Business - News - BUY OFFICE 365 BUSINESS ESSENTIALS FOR ONLY 2,000 VND PER DAY! A professional email and more business tools for your modern workplace. What can you get with just 2.000 VND/day? *Email Exchange: professional email hosting with 50GB mailbox. *OneDrive: 1TB of data storage for each user. *Skype for Business: HD video conferencing meetings. *The highest level of security and 99.99% uptime commitment. Limited offer! This promotion is valid until December 31, 2018.